The hotel provides the guests with a treatment that none can imagine. The hotel is loaded with state of art facilities and the hotel administration work day and night to make the stay of the guests as comfortable as possible. Hotel has a 24 hour front desk, air-conditioned lobby, airport transportation, audio-visual equipment, ballrooms and banquet facilities. Other facilities include Valet parking, bar/lounge, breakfast facility, business center and business services. Apart from all these facilities the hotel also has Spa services, spa tub, Swimming pool, video library, wedding services and wireless internet connection all over the hotel’s premises. To accommodate the guests from different parts of the world the hotel has a multi lingual staff as well, and for the safety of the valuables of the guests a safety box facility is also there. All the rooms are loaded with such facilities, that only one word comes in your mind “exquisite”. Ordinary words cannot describe the dining experience at La Valencia Hotel. The hotel provides its guests with some of the most delicious and finger licking good food and cocktails. Whether you decide to snuggle up in your bed and enjoy the food or you decide to dine-in one of the many restaurants in the hotel, in both the cases the experience is memorable. The hotel has a Sky Room Restaurant on the 10th floor, The Whaling Bar and Grill Restaurant, Mediterranean Room and La Sala and Ocean Terrace. The hotel is a few minutes’ walk away from numerous recreational facilities like golfing, snorkeling, surfing/boogie boarding, personal watercraft, rowing or canoeing, kayaking, sailing, scuba diving, water skiing, windsurfing, whale-watching and motor boating. 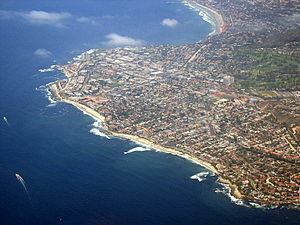 Surely, the place is the best place to stay in San Diego for the summers. When visiting the greater San Diego area, check out one of San Diego’s finest resort and spa’s, the Coronado Island Marriott Resort & Spa. This is an Island Resort, that needs exploring to find some of the best dining and relaxation around. Amenities, what can I say just take your pick, and enjoy. check out their cozy Spa, atmosphere, and enjoy their 3 large heated pools, and get the feeling of swimming on some far away Island; the waters in the pool, if you let your imagination run wild, could be the Mediterranean, or Caribbean waters with the deepest that go on forever. If exercise is your thing, why not play tennis on one of their great tennis courts, and experience the complete resort feel. Nightly rates range from $369.00 per night, at this rate, why not plan your special honeymoon get away, or anniversary. 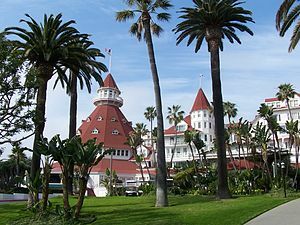 Sometimes we need a get away or date night, Coronado Island Marriott Resort & Spa, can fill the bill, why not visit and refresh what a place like Coronado Island Resort& Spa can revisit. Coronado Island Marriott Resort & Spa is a must visit, close enough to San Diego, to feel the hustle of city life but distant enough to have that Island feel, two heavenly feeling all rolled into one. What if you feel the need for a healthy Spa, Coronado Island Marriott Resort & Spa can provide this and so much more. Oh! don’t forget that relaxing and calming whirlpool, just let the water take you to another place, feel the motion of the water, and let it take you away to that special place you need to visit every now and then. This Island can take you away in the feel of excellence, and beyond. When you walk into the lobby, you feel this calm feeling of just arrived, you can almost feel total relaxation coming over your person, just around the corner is that place, you and everyone else feels when visiting Coronado Island. The sights are spectacular, and the skyline of San Diego, is what everyone looks for when visiting this great city, so call and make your reservations today. Looking for a great hotel to stay in for your San Diego trip this year? The perfect resort is waiting just minutes from downtown San Diego. 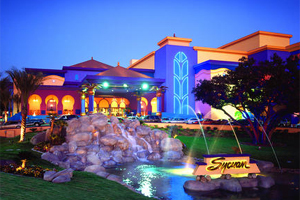 The Sycuan Resort & Casino is the place you’re looking for. Whether you’re a big time golfer or merely looking for a relaxing place to rest, the Sycuan Resort & Casino has what you need. The hotel is located on beautiful grounds including a golf course. The rooms are spacious and well kept. A deluxe room includes two queen sized beds, a desk with two padded chairs, a cozy, living room type chair and much more. There is also a choice of a one or two bedroom suite. All rooms are beautiful and have a gorgeous view of either the putting greens, golf course or the lovely pools. The breathtaking views on the golf course allow the recreational golfer to enjoy him or herself. There are fifty-four holes of golfing bliss. Children and welcomed at the resort as well: there are Junior lessons for our youngsters to enjoy themselves. The casino, which is a short five minute drive from the resort, is a fantastic experience. The many amenities include a fully equipped non-smoking room, slots, poker, Pai-Gow, Bingo and many more. The casino itself offers two choices for dining: The Wachena serves breakfast, lunch and dinner including Pasta, Asian, Mexican, sandwiches, burgers and more. The casino buffet, Paipa’s, has over 100 freshly prepared dishes including international, Prime Rib, Seafood, a delicious dessert bar and much more. Both are beautifully decorated and eye candy. The resort itself has three choices of places to eat. The Blues Brews and Barbecue offers a choice of meat of or seafood and your choice of side. The Sycuan Grill offers a more local array of seafood. And, finally, the Echo’s Lounge is a place to unwind and relax with some friends, a drink and some appetizers after a long day on the golf course or at the casino. The big screen plays the big game for all to enjoy. Are you looking for a place to hide away from the rest of the world? Do you need a secluded location within the Gaslamp Quarter?Guests choosing to visit The Lofts on 5th Avenue home, even for a little while, will enter the loft through a spectacular outdoor living area. They will be delighted with the luxurious Frette linens and featherdown comforters on the king sized beds. Those staying in the most elite rooms will be treated to an amazing view of San Diego through the floor-to-ceiling windows. These Presidential suites are treated to an octagonal-shaped living room perfect for stretching out after a long, stressful day. Dinner can be served in a separate dining room away from the hustle and bustle of the city. The chef will prepare a truly memorable meal for you and your company featuring splendid world cuisine. After dinner, conversation can continue the private balcony. Security is exceptionally tight for these rooms as all guests must pass through two key-coded access doors. Others will prefer to stay in the Whirlpool Loft Suite. Guests will enjoy the Frette linens on the featherdown comforters while laying on the king sized beds. Guests staying in this room will enjoy the spacious whirlpool as its jets massage your body. The view from your room in the loft features a magnificent view of the Gaslamp Quarter. Guests will be able to view all the happenings as the Gaslamp Quarter comes to life after dark through the floor to ceiling windows that open to allow the crisp night air in to the room. Others who prefer to stay in the main part of the Hilton Hotel will be delighted with the open fire pit, which is the perfect place for the party to continue after a night of clubbing at some of San Diego’s best clubs, such as Fluxx, or a relaxing time at a wine bar, such as the Grape. Guests staying here can enjoy a swim in the heated outdoor pool before enjoying the luxury of their rooms. Each room has a king sized bed or two double beds. Guests will also enjoy the hotel’s proximity to San Diego’s Big Bay with the Bay’s superb running tracks. Something is always happening at the Big Bay.